Most of us understand the importance of physical fitness for good health. Unfortunately, many are less familiar with the importance of brain fitness (cognitive skills) in determining our ability to pay attention, have good memory, be less careless and more motivated in learning. Many people think of our brains in 3 ways – either it is gifted, normal or challenged. 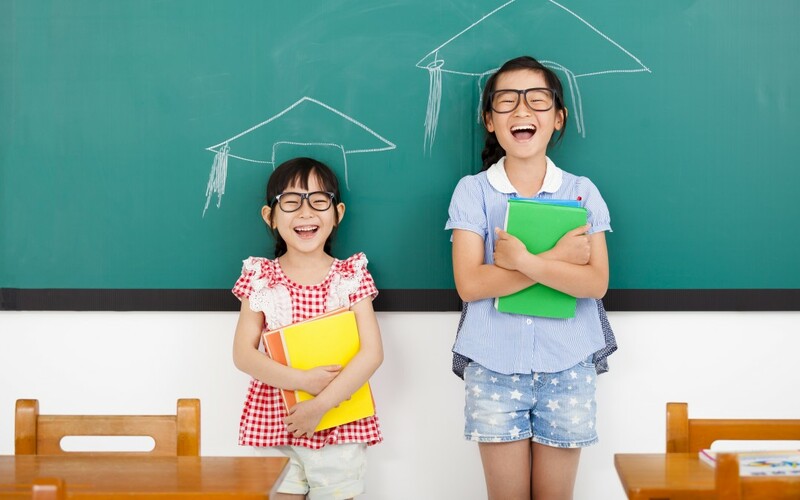 Hence when a normal, bright child underperforms in school, we usually attribute it to lack of focus, laziness or a negative attitude towards learning. That is far from the truth. Brain fitness is very much like physical fitness. We do not think of people as either fit (competitive sportsman standard) or unfit (complete couch potato). Most of us fall between these two extremes. We may have good running stamina but poor flexibility. We may have strong arm muscles but a flabby tummy. Brain fitness should be understood like physical fitness. Most of us have brain fitness that lies between “very fit” and “very unfit”. We may have strong communication skills but weak attention span. We may excel in solving visual problems, yet fail to remember information well. These gaps in brain fitness can create underperformance in learning. However, like muscles, our brain can strengthen with proper exercise. Having some understanding of how our brain processes information will help us comprehend why such variations in abilities exist. Many of us know that the brain has two sides, a right side and a left side. Besides having two sides, the brain also has different “lobes” or regions that are responsible for processing different types of information. 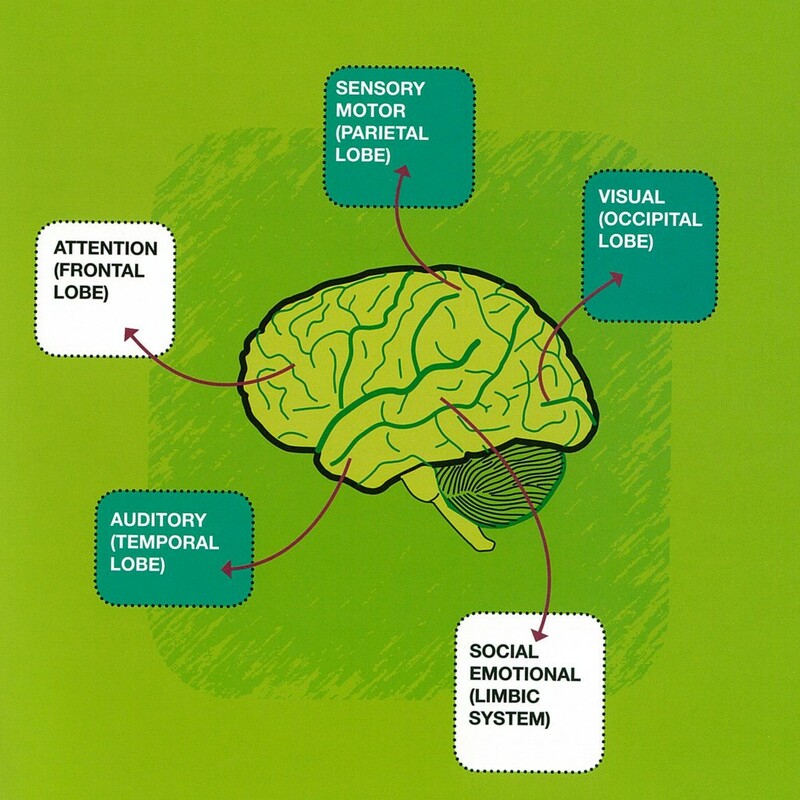 For example, the area at the back of our brain, the occipital lobe, is responsible for processing visual information. The temporal lobes, located at each side of our brain close to our ears, are responsible for processing sound and language information. Movement information is processed at the parietal lobe, which runs down the top of our head. Emotions are processed by the limbic lobe, located deep inside our brain. Attention and focus is controlled by our frontal lobe, located at the front of our brain, just behind our forehead. One simple way to think of how our brain functions is to imagine that these lobes are like different cities, all connected by roads. If these roads are superhighways, traffic moves rapidly and smoothly from one city to another. However if old dirt roads connect these cities, traffic becomes slow and it will take a much longer time to get from one city to another. We want all the “roads” in our brains to be superhighways so that information from different lobes can be quickly transmitted and processed. However, this may not always be the case. We may have superhighways in some areas of our brain, helping us to learn quickly and perform well in some tasks, while other “roads” may not be as well-developed, slowing our learning and causing us to perform less optimally. Again, the good news is these “roads” in our brains can be developed to become more like superhighways.